All area artists are invited to participate and 2-D and 3-D artworks will be accepted in a variety of mediums. All works must be “family friendly” in theme. Entry fee is $5 per entry and artists may enter up to three works. Works for the wall must use wire for hanging (no “saw tooth” hangers), and artists must provide their own easels for table works if needed. Entries were Monday, Sept. 25 and Tuesday, Sept 26 between 3-6 p.m. 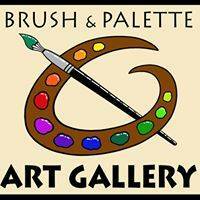 The opening for this show is Thursday from noon t0 6 p.m. For a complete prospectus for this show, please visit Brush and Palette Art Gallery’s Facebook page or visit the gallery during its open hours, Thurs-Saturday from noon to 6 p.m.
For more information, call 419-468-2944 or 419-468-5965.